The black ATH-M50x Monitor Headphones from Audio Technica are designed for use in critical studio mixing and tracking as well as for DJ monitoring applications. They feature 45mm Neodymium drivers with copper-clad aluminum voice coils that provide an extended frequency response from 15Hz to 28kHz. The headphones have a circumaural, around-the-ear design that provides sound isolation in loud environments. 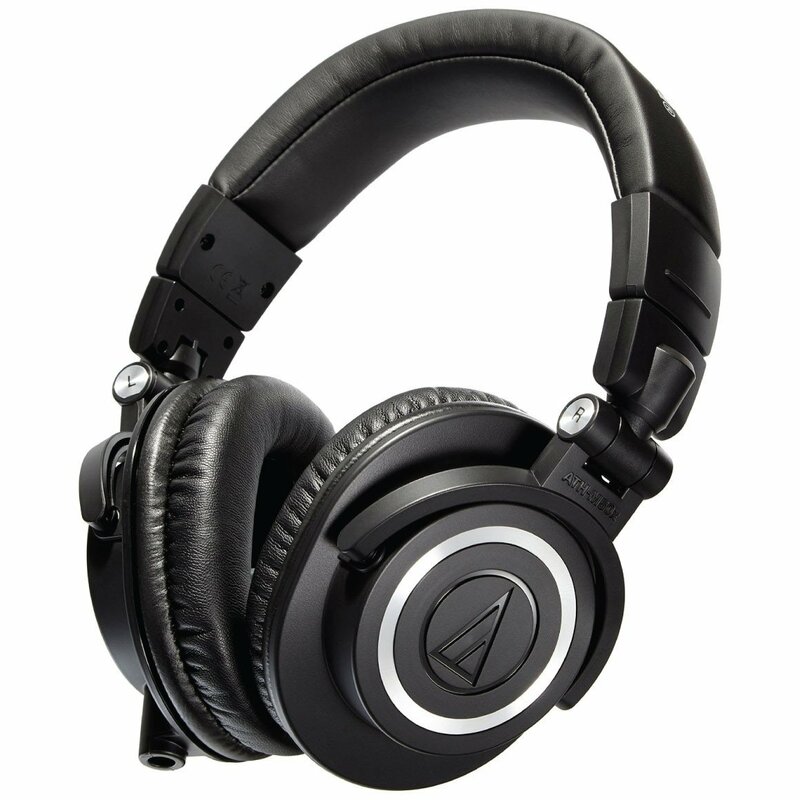 The ATH-M50x's ear cups can be swiveled 90-degrees, allowing for single-ear monitoring. The headphones have a detachable single-sided cable system, and a 3-meter coiled cable, a 3-meter straight cable, and a 1.2-meter straight cable are included. When not in use, the ATH-M50x can be folded down and stored in the included carry pouch.